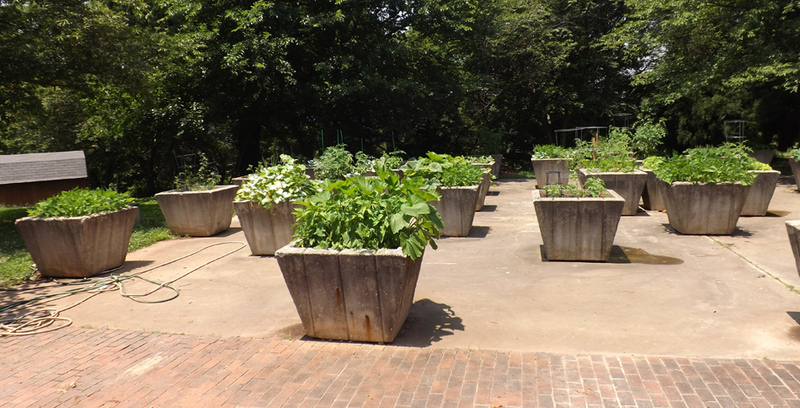 Crystal Towers Community Garden is the oldest community garden in downtown Winston-Salem. It began as a city recreation garden started in 1991 by Lea Nading and the Special Populations Unit of the W-S Recreation &Parks Dept. 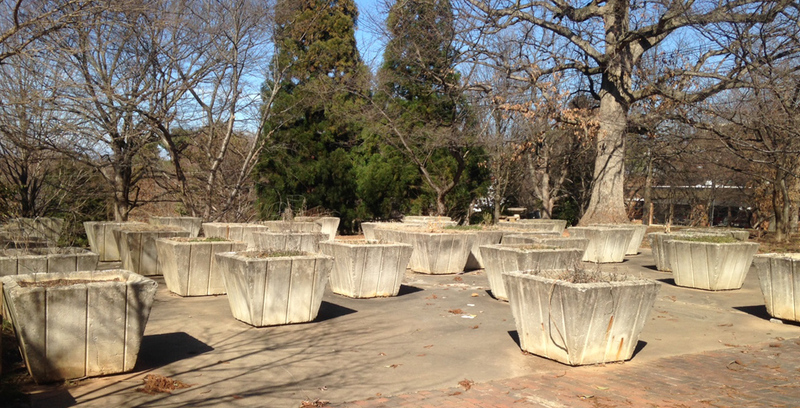 35 concrete planters(donated to the city by Parkway Plaza Shopping Center) and several raised bed gardens exist on the property. Gardeners have to sign up for a planter or raised bed area through Lea's Earth Touch of NC (336 413-3517). Most tools, seeds, plants and a storage shed( shed donated by the Westwood Garden Club) are supplied so gardeners have little out of pocket garden expenses. Gardeners choose the plants(donated by nurseries and citizens) to grow in their gardens, whether it be vegetables, flowers or herbs.In the 23 years of garden accessibility(curb cut installed for gardeners in wheelchairs) hundreds of people have been introduced to or able to continue their love for gardening and the natural world. Bird feeders (Many donated by Wild Birds Unlimited), bird seed, and bird baths are provided. Goldfinches have been seen as well as many other bird species. One of the main features of the garden is a huge fig tree that was started from a 2ft cutting. This tree feeds gardeners, birds as well as homeless people that visit the garden.Volunteers from the community have helped the garden continue. Our motto is "BLOOM WHERE YOU ARE PLANTED!"